Over the past few weeks, two new events have shown the private space industry's achieving a critical mass of both financial support and cohesion. First off, on April 8th, a SpaceX Dragon spacecraft, launched into orbit on a SpaceX Falcon 9 rocket, delivered the Bigelow Expandable Activity Module (BEAM) to the International Space Station (ISS). BEAM is a technology demonstrator designed to prove the viability of inflatable space habitats and will spend two years attached to the ISS. As announced in the April 11th, 2016 Verge article, "ULA is teaming up with Bigelow Aerospace to launch commercial space habitats,"
BEAM will pave the way for the debut of Bigelow Aerospace's flagship product, the B330, in 2019. Bigelow Aerospace CEO Robert Bigelow envisions the B330 habitat essentially being operated as a timeshare, with both NASA and private citizens as paying customers. Bigelow will rely on commercial providers SpaceX and Boeing to transport crew to and from the B330. As outlined in the April 2nd, 2013 post, "A Thin Red Line to Protect Mars Explorers," Chiliwack BC., based Thin Red Line Aerospace designs and builds the pressure-restraining hulls used for the Bigelow habitats which are made of impact-resistant, Kevlar-like materials and other fabrics. Thin Red Line Aerospace has previously designed and built the pressure-restraining hulls for the Bigelow Genesis 1 and Genesis 2 technology demonstrators, which launched in 2006 and 2007. The lightweight habitats could save millions of dollars in launch costs compared with metal modules. 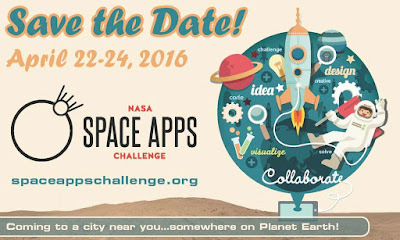 But Bigelow isn't the only space focused billionaire with a new initiative this month. On April 12th, venture capitalist Yuri Milner and theoretical physicist Stephen Hawking unveiled Breakthrough Starshot, a $100Mln USD ($128Mln CDN) initiative to develop a fleet of light sail-equipped nano-spacecraft capable of travelling to Alpha Centauri in 20 years at 20% of light-speed, taking pictures and video and then relaying them back to Earth. In an interesting reversal of conventional wisdom, Milner categorized the project as something which governments would not normally consider because of its speculative nature and the long lead times. As outlined in the April 12th, 2016 CBC News post, "Yuri Milner, Stephen Hawking's Breakthrough Starshot targets Alpha Centauri," it could take years to develop the project, and there is no guarantee it will work. Breakthrough Starshot is part of a larger program called Breakthrough Initiatives, funded by Milner to pursue different avenues for contacting extraterrestrial life. As outlined on the project website, the initiatives, "are a program of scientific and technological exploration, probing the big questions of life in the Universe: Are we alone? Are there habitable worlds in our galactic neighborhood? Can we make the great leap to the stars? And can we think and act together – as one world in the cosmos?" The Breakthrough Initiatives board includes Milner, Hawking and Facebook founder and CEO Mark Zuckerberg. 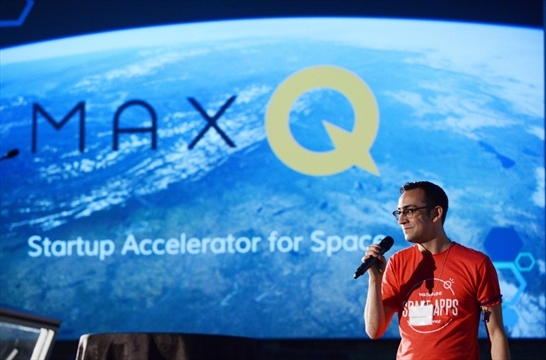 The Breakthrough Initiatives are another watershed example of a marquee investor applying their resources into a long-term space project with no immediate return. The BEAM delivery to the ISS marks the proof-of-concept of a technology that will enable extensive in-orbit and off-world development. The Bigelow/ULA partnership signifies the emergence of a new pragmatism within the space industry; the coming together of Old Guard and New. Space aficionados everywhere can take heart in seeing this long-static industry finally embracing its future. 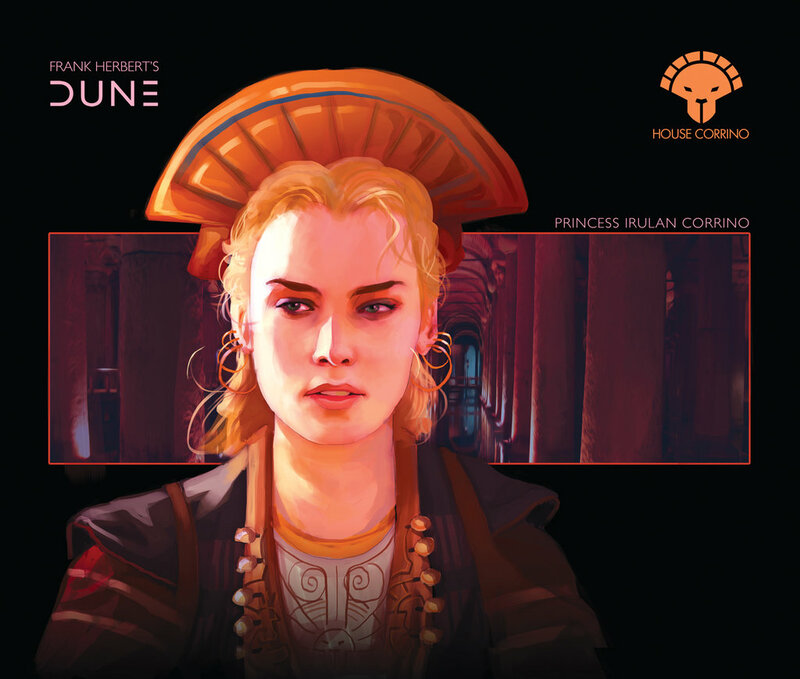 "And that day dawned when Arrakis lay at the hub of the universe with the wheel poised to spin.," Frank Herbert - Dune. 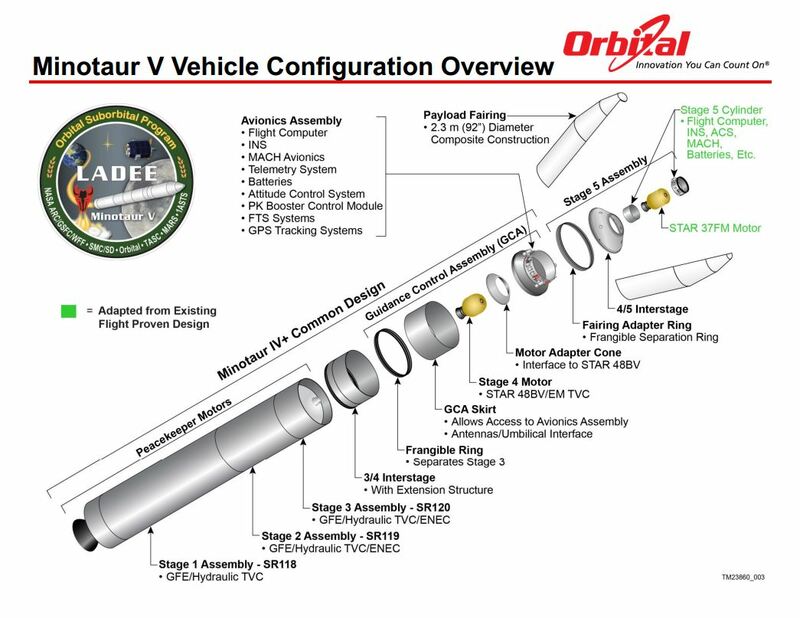 A graphic representation of orbital launch projects and capabilities. Red denotes confirmed orbital launch capable countries. Orange denotes confirmed orbital launch capable intergovernmental organization members such as the European Space Agency (ESA). Green denotes nations with orbital launch projects in development or planned. Blue denotes countries with unsuccessful and abandoned orbital launch projects. Canada, Egypt and Iraq are blue. Graphic c/o Jeffsapko at en.wikipedia, CC BY-SA 3.0. Sokoloff knows what he is talking about. In 2009, his team authored the “Microsatellite Launch System Technical Feasibility Study Project Final Report,” under Canadian Space Agency (CSA) contract #28-7006058. The report was released in 2014 as part of an access to information request and is currently available through open.canada.ca. The feasibility of an indigenous Canadian microsatellite launch system of specified capabilities (150kg to 800km sun-synchronous orbit) was examined. It was confirmed that such a capability would meet much of the projected Canadian need, particularly as the utility of microsatellites has been increasing over time. The report concluded that, “As a result of this study, we have determined that the original goals are feasible and can be achieved at a reasonable cost.” Overall cost was estimated at approximately $187Mln CDN over seven years; although a smaller satellite launcher could be built for less. A plain document covering a fascinating topic. The front cover of "Microsatellite Launch System Technical Feasibility Study Project Final Report," as released by the CSA in compliance with the author's informal request of April 13th, 2016 to obtain records originally disclosed in 2014 as part of an earlier FOI request. To access the full document, simply click here. Screen shot c/o CSA and Continuum Aerospace. Of course, while feasibility studies in this area have been talked about at the CSA and its predecessors going back to the early days of space exploration, the 2009 Continuum report was the first study to see the light of day. The costs of flights to specified orbits are high. The availability of launches is subject to long lead times and uncertainty in launch dates. Orbit selection controlled by host launcher, not by Canadian needs; Canada has to “fit in,” to the launch provider's requirements. Foreign governments control and limit Canadian satellite launches. “The goal of the 2009 study was to address these problems, especially when it came to northern sovereignty issues, where the countries we were trying to monitor in the Arctic were the most likely suppliers for launch berths,” said Sokoloff. CSA studies and assessments are often announced but completed studies are seldom released to the public, especially if they discuss Canadian rockets, which are perceived of as being contrary to Federal government policy going back to the 1960's. As outlined in the April 19th, 2010 Space News post, "CSA Begins Studies for First Canadian Microsatellite Launch System," the CSA announced in 2010, over a year after the Continuum report was completed, that they were seriously exploring the possibility of "developing a launch system for microsatellites, a capability that if approved by the government would be a first for the country." 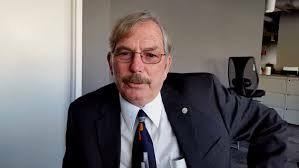 But the initiative seems to have been suspended after then CSA president Stave MacLean retired in 2012. For more on the early development of Canada's policy concerns relating to rocket development, check out the December 27th, 2010 post on "Canada's Military Space Policy; Part 2, The Changing Political Landscape." Screenshot c/o Space News. The report listed several “key technologies” which were not available as commercial-off-the-shelf items and /or were considered highly restricted by foreign governments. Propulsion; thrust vector control; vessels and pressurization; inertial navigation systems; flight-weight nozzles; and separation systems were identified as “needing further development” to be available to Canada unrestricted. Much of the money allocated to the project estimate was to go towards maturing those identified technologies. As a reference design, the study settled on a three stage rocket, utilizing two sizes of LOX-paraffin hybrid rocket engines as the “preferred technical concept vehicle,” in order to avoid toxic fuels or explosives. The second portion of the study, generally conceded to have been completed by Gormley, Ontario based Cesaroni Technology (which currently sells rocket components to Denver, Utah based UP Aerospace) and the Bristol Aerospace subsidiary of Mississauga, Ontario based Magellan Aerospace (which pioneered rocketry in Canada with the Black Brant series of suborbital sounding rockets), has not been released. Rumour and innuendo suggest that the real problem with any Canadian based rocket was the lack of a compelling business case. But any discussion focused on that area needs to include an assessment of why other privately held rocket companies such as Rocket Lab have a business case but Canadian companies don't. Founded in New Zealand in 2007, Rocket Lab is currently a privately held American aerospace company headquartered in Los Angeles, California, although it retains an office in Aukland. Founder, CEO and technical director Peter Beck is shown above with an Electron rocket, an all carbon composite launch vehicle. The company has obtained funding from a variety of sources including private venture firms Bessemer Venture Partners and Khosla Ventures along with Callaghan Innovation, a New Zealand government agency which supports domestic hi-tech businesses. Photo c/o Baldwins. An April 14th, 2016 request into the CSA media relations office for clarification on two questions relating to why the study was initiated in 2009 and why the CSA never followed through with the report recommendations, has so far elicited no formal response from within the space agency. But the CSA has responded to three other queries relating to the Cesaroni/ Magellen concurrent study. 1. Why was the FOI request to release the Cesaroni report rejected? Processing of the Access to Information request was done in conformity with the Access to Information Act (the Act). Notice was given to third parties in accordance with section 27(1) of the Act. Representations were received by the third parties and the decision was made not to disclose part of the information. (section 28 of the Act). 2. Did the Cesaroni report come to a different conclusion from the Continuum report? The information contained in that report is exempted pursuant to section 20(1)(b) and (c) of the Act, therefore CSA cannot comment on the content of the document. 3. Will the Cesaroni report ever be released? It is not CSA’s decision to publicly disclose or not this report. See section 27 and 28 of the Act. It's expected that this story will be updated as more information becomes available. As outlined in an April 22nd, 2016 e-mail sent out in response to the initial query by Eyssen, ""I did my best to find the info but I will have to get back to you next week for the last two questions." Editor's Note: On April 24th, Eyssen sent a short, curt e-mail explaining that, "after careful examination of the feasibility study reports and given higher priorities at the time, namely RCM (the RADARSAT Constellation mission) and ISS (Canada's ongoing contribution to the International Space Station), CSA opted not to pursue the development of indigenous launcher systems." Here's hoping that other peoples rockets will be sufficient to support those initiatives. We Won't Have Dan Friedmann to Kick Around Anymore! Howard Lance, the new boss. Photo c/o MDA. Richmond, BC based MacDonald Dettwiler (MDA), the Canadian space company associated with the various RADARSAT synthetic aperture radar (SAR) satellites and the iconic Canadarm, announced Thursday that it had hired American Howard Lance to lead the company. But Lance, who replaces outgoing CEO Daniel Friedmann, will not be based in the BC head office when he takes over on May 16th. Instead, he'll be working out of MDA’s Space Systems Loral (SSL) subsidiary in Palo Alto, California. All of which likely makes perfect sense to executives in a firm where most of the revenue over the next few years is expected to derive from the US. According to the article, Friedmann said he and the MDA management team approached the board of directors about relocating the CEO role (and Friedmann) to the US, before ultimately deciding on recruiting an outside candidate already based there. Outgoing CEO Friedmann. Photo c/o Ideacity. 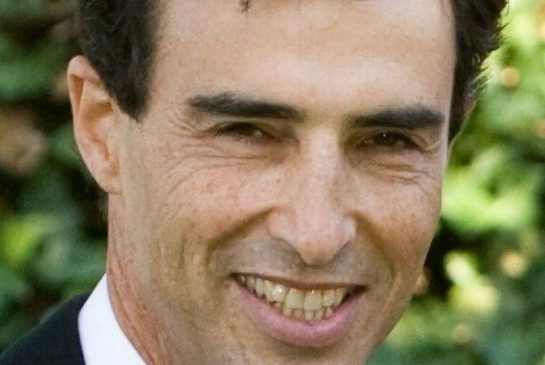 As outlined in his Bloomberg executive bio, Friedmann has been CEO of MDA since 1995. He joined the company in 1979 and has held a number of positions including engineering operations, sales and marketing and chief operating officer. Under his tenure, MDA grew from a $100Mln CDN domestic and privately held ground systems company to a $2Bln CDN internationally oriented and publicly traded satellite communication and information company. Incoming CEO Lance is currently an executive advisor at the Blackstone Group, an American multinational private equity, investment banking and alternative asset management corporation based in New York City. Between 2003 and 2011, Lance was also president and chief executive officer of Harris Corporation, an American communications company, defense contractor and information technology services provider to the government, defense and commercial sectors. A happier time, with far more Canadian content but less revenue. As outlined in the March 15th, 2011 post, "MacDonald Dettwiler gets "Anchor Customer" for Brampton Robotics Plant," the original plan, after MDA failed to sell itself to ATK in 2008 (which was explored in the April 10th, 2008 CBC post "Federal government blocks sale of MDA space division"), was to develop commercially available on-orbit satellite servicing for the open market based around robotics technology developed through MDA participation in the Canadarm program. When that fell through, as outlined in the January 15th, 2012 post "MDA Satellite Servicing Agreement with Intelsat Expires," another new plan was developed. This time the intent was to buy a US satellite company in order to gain access to the lucrative American market. As outlined in the June 27th, 2012 post, "MacDonald Dettwiler buys Space Systems Loral for $875M," that plan succeeded in a spectacular fashion and led directly to the current situation, where MDA receives 2/3's of its revenue from the US. Screen shot c/o The Commercial Space blog. 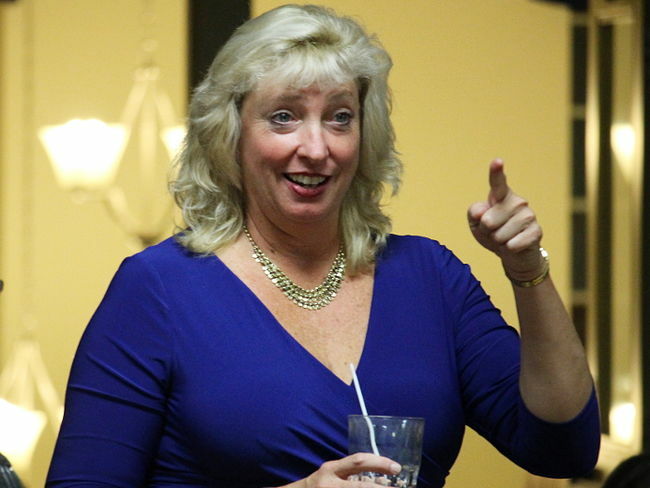 Friedmann will remain with the MDA board following the transition. As outlined on the MDA website, the current board is composed of chairman of the board Robert L. Phillips (Vancouver, BC), Friedmann (Vancouver, BC), chairman of the audit committee Thomas S. Chambers (West Vancouver, BC), Dennis H. Chookaszian (Wilmette, Ill), former deputy NASA administrator Lori B. Garver (Maclean, VA), chairman of the governance and nominating committee Brian G. Kenning (Vancouver, BC), Fares F. Salloum (Plano, TX) and Eric Zahler (NY, NY). EDITORS NOTE: When it rains it pours, at least according to the old saying and that phrase is likely true, especially for Canadian based MDA employees. As outlined in the April 19th, 2016 SpaceFlight Insider post, "OneWeb Announces Florida-Based Satellite Production Facility," the Channel Islands based OneWeb has "inked an agreement with Space Florida that could see as many as 250 high tech jobs brought to Florida’s Space Coast." “This facility will create a high-volume satellite manufacturing capability, enabling mass production with dramatically lower cost for the world’s newest communication satellite technology,” said Allan McArtor, Chairman and CEO of Airbus Group, Inc, which was part of the winning bid. As outlined in the November 2nd, 2015 post, "MDA CEO Dan Friedmann Didn't Threaten to Leave Canada Last Week!," MDA was hoping that a successful bid for the OneWeb factory contract would provide future work for the MDA Montreal facility, which is currently finishing up on contracts related to RADARSAT Constellation. 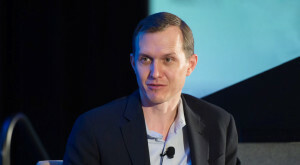 The president of Orbital ATK's flight systems group, which operates the Minotaur family of ICBM-based launch vehicles and the CEO of Virgin Galactic have crossed swords (or maybe plowshares) over the most recent variation of a very old idea; the hauling of old ICBM components out of retirement to be put to more peaceful uses. A reminder that there is rarely if ever anything new under the sun. The abandoned Fort Churchill Rocket Research Range in Northern Manitoba is now a national historic site. As outlined in the July 11th, 2011 post, "A 1968 Battle Between Poker Flat & Fort Churchill," it once directly competed with, and was eventually driven out of business by, re-purposed US built ICBM's launched from Alaska. 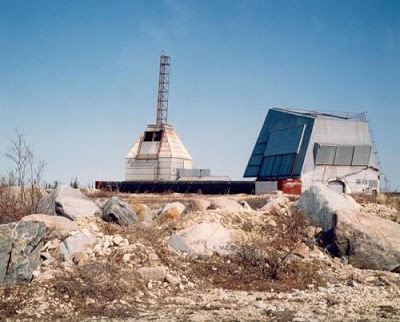 In the 1990's, as outlined in the March 1st, 2010 post, "A Short History of Akjuit Aerospace," there was also a failed plan to use re-purposed ex-Soviet ICBM's for launch at Churchill. Photo c/o Canada's Historic Places. As outlined in the April 5th, 2016 Space News post, "Ending ban on retired ICBMs would allow U.S. companies to reclaim small satellite launch market," Orbital ATK flight systems group president Scott Lehr says that using his firm's rocket motors to launch small satellites would make the US more competitive in that particular segment of the launch market, which is currently dominated by subsidized players abroad. However, as outlined in the April 5th, 2016 SpaceNews post, "Dumping excess boosters on market would short-circuit commercial space renaissance," Virgin Galactic CEO George Whitesides disagrees. But Whitesides has a pecuniary interest of his own. Virgin Galactic not only offers perpetually delayed suborbital fun-rides, but has also begun a small satellite launch initiative of its own, one that might even orbit a satellite before anything very recreational happens elsewhere in the company. Whitesides' complaint is understandable: there could be a "crowding out" of private sector initiatives. The Minotaur V, derived originally from the LGM-118 Peacekeeper ICBM, was developed by Orbital Sciences Corporation, (now Orbital ATK) and made its maiden flight on September 7th, 2013. It carried the NASA Lunar Atmosphere and Dust Environment Explorer (LADEE) spacecraft. Graphic c/o Orbital ATK. Perhaps it's my trollish nature, but I'd like to see what I can do to antagonize both sides of this debate. First, however, let me go back to an old ruckus that bid fair to burst at the seams with political venom back in 2008: the uproar over U.S. congressional "earmarks." Many projects that enjoyed "earmark" funding promises at that time were derided as "bridges to nowhere." 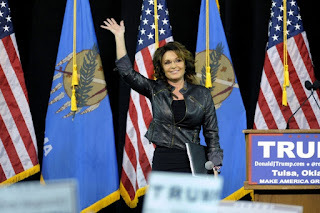 Sarah Palin is shovel ready. Photo c/o Washington Post. One of these Alaskan bridges would have connected a (low-volume) international airport to a small town nearby. It probably would have improved the local economy by getting more tourists who were bound for Misty Fjords National Monument to stay longer, at a slightly more developed way-station. The other bridge would have connected Anchorage to a relatively undeveloped subdivision across a river that was served by a ferry only when winter ice didn't make the transit too difficult. It might have sparked a construction boom across the water from downtown. But it gets better. With the kind of low-interest financing that tends to be more available when the US Federal Reserve targets the lower bound of interest rates in a recession, it seemed possible that these bridges had a kind of business case. That is, they could eventually have been revenue-positive for their respective municipalities. Coincident with the Fed targeting the lower bound is the economic predicament that justifies such low interest rates in the first place: high unemployment in a recession. Later in 2008, the global economy imploded. Suddenly, certain Bridges to Nowhere looked a lot like "shovel-ready projects." "Shovel-ready" at least according to Wikipedia is "a political term used to describe construction projects (usually larger-scale infrastructure) where planning and engineering is advanced enough that with sufficient funding, construction can begin within a very short time." As outlined in the March 27th, 2016 post, "No Puppies Falling from the Heavens With Space Funding in this Federal Budget," quite a large proportion of the $11.9Bln over five years allocated in the latest Federal budget for "infrastructure" could be categorized as being advanced enough that with sufficient funding, construction can begin within a very short time. Cartoon c/o Graham Mackay. Bridge projects are infrastructure. Stimulus spending tends to be oriented toward infrastructure because it's most often "shovel-ready" when a recession hits. Infrastructure investment doesn't cause much private sector "crowding out" -- because it's not something the private sector directly invests in. It's a "public good:" few users directly pay the carrying costs, but if the project is chosen wisely, the economy as a whole tends to benefit for a long time to come. George Whitesides. Photo c/o Space News. 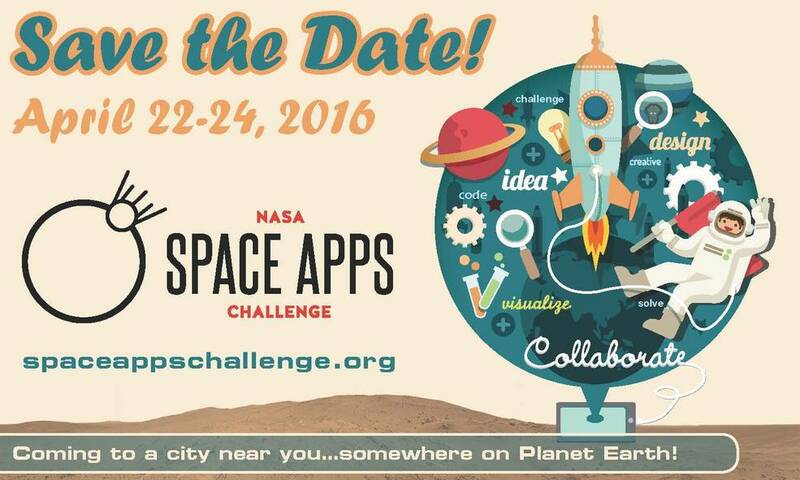 Getting back to space launcher plowshares: to be honest, I think George Whitesides is pretty close to correct. Even though a private-sector entity that uses freebie ICBM motors is still in the private sector, those freebies could mean there's effectively been some crowding out done with a past public investment. But Scott Lehr also has an excellent point about how private sector space launch initiatives in the U.S. are not on a very level international playing field to begin with. Against this background of two launcher company executives facing off, I see ... the Moon. Remember the Moon? 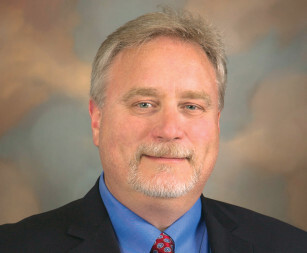 Scott Lehr. Photo c/o Space News. The FAA's arm for regulating commercial spaceflight has responded enthusiastically to the current ESA director's proposal to put a base on the moon as outlined in the May 1st, 2015 Space.com post, "Europe's Next Space Chief Wants a Moon Colony on the Lunar Far Side," and has done so with possibly more enthusiasm than any government entity in the EU. Well, there's another book being talked here, isn't there? In this case, it's a government book. The FAA's new arm for for overseeing commercial spaceflight would prefer to have more US based spaceflight to oversee. And if those launches are mostly for ESA and for any Moon Village partners that happen to materialize, well, it's still spaceflight, potentially by American launch providers, launches that could still take place within FAA purview. What I propose is to crash a lot of retreaded, unladen ICBMs wherever the ESA says they'd like their Moon village. Since these vehicles would arrive at speeds in excess of 2 km/sec, the vehicle wreckage would be quite fragmentary, to be sure. But the detritus would consist largely of pure metal pieces. When you consider the costs that would need to be sunk to mine and refine metals on the moon, starting from bare regolith, these rocket chunks would have great value. Compared to anything you could scoop up on the moon today, they would have enormous value added. Proposal for a European Space Agency (ESA) Moon village. 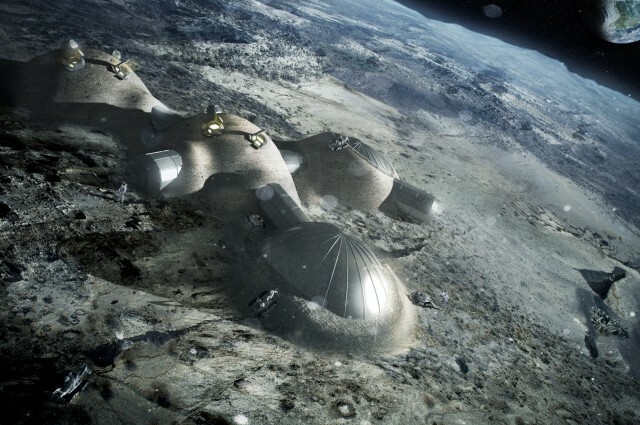 As outlined in the January 4th, 2016 IFL Science post, "European Space Agency Plans To Build Moon Village By 2030," the multi-dome lunar base would use 3D printing construction concepts. Once assembled, the inflated domes would be covered with a layer of 3D-printed lunar regolith by robots to help protect the occupants. Graphic c/o ESA/ Foster + Partners. A big plain strewn with pure metal on the moon could give the Moon village a major initial boost to in-situ resource utilization (ISRU). Even in the meantime, metal 3D printers could use collected shrapnel as feedstock. The sooner a Moon Village can scale up, the more opportunities that launch providers -- including American providers -- would see to serve a growing village. Well, let politicking begin. Surely, the U.S. should crash this "bridge to nowhere" on the Moon only with "international earmarks;" that is, it should make sure Moon Village partners only "mine" the crashed metals if they bought them at some market rate. I'm not sure whether I've antagonized both sides of this debate enough. My hope is far more vaulting, actually. It's to antagonize sides of the debate I haven't even heard of yet. This is ambitious of me, I suppose. But we all have our dreams of greatness, do we not? 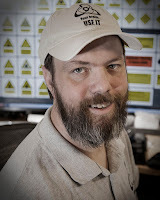 Michael Turner is the executive director of Project Persephone, a Japanese based society founded with the goal of bringing space development to the masses. He lives in Tokyo. If you're a scientist or an engineer with an idea and looking for funding, you might need to talk with Kris Holland. He runs MAFIC Studios, a full featured graphics house focused on the science and engineering profession, where client ideas are taken from a conversation, napkin sketch, or computer data, and turned into images, animations and sometimes, even hardware. A concept for a thermal space solar power satellite by Keith Henson, Steve Nixon and Kris Holland; animated by Kris Holland/Mafic Studios. To see the complete video, simply click on the graphic above. Screen shot c/o Mafic Studios. "People will pay a premium for accuracy," he said during a recent interview. "I can create the illustration and produce the video with enough expertise so that my clients don't need to correct my mistakes." His work has been on most major TV networks, including CNN, CBC, CTV, TVO, PBS, Discovery, Space, NBC, CBS and SyFy and in numerous publications worldwide such as Popular Science, Popular Photography, and Time Magazine. He's also done work for and served on the Space Canada board of directors and acted as a regional director of the National Space Society (NSS). Rumour has it that the firm has also done graphics for a variety of Canadian Space Agency (CSA) projects. Holland characterized himself as a generalist, a person competent in several different fields or activities, but with enough expertise in graphic design to be able to flesh out a scientific concept or an engineering design study. A 2007 design for a littoral combat ship as outlined in the February 15, 2008 Popular Science article, "Warships of Tomorrow." Image c/o Mafic Studios. 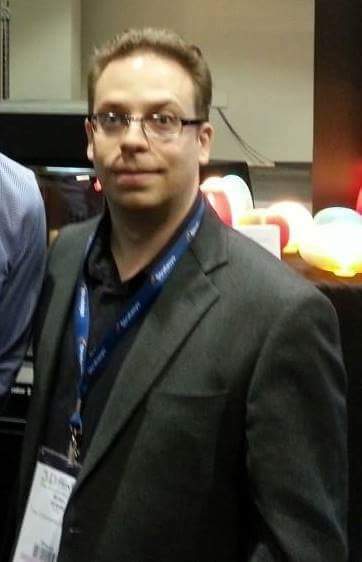 Holland was born in Sudbury and has spent most of his adult life focused on the technical challenges of computer graphics. "Most of my regular work is in this area. Organizations rarely appreciate how much graphics can help them raise funds. This can be made much easier when the artist supporting their vision has the technical chops to talk with their engineers at their level." Kris Holland. Photo c/o K. Holland. But he has also developed substantial expertise with training and safety videos for the mining industry. Over the next little while, he's hoping to develop the capacity to build physical models of the projects he's currently imaging. "I need to do something that doesn't involve just looking at a computer screen. I've also had trouble finding people who can build hardware objects quickly while saving time and budget by doing everything under the same roof," he said. In a field where technical knowledge too often resides in silos, Holland believes that his broad range of inter-related hobbies and interests allows him to blend arts and sciences with a little technical wizardry in order to properly and scientifically image the ideas of the future. To learn more about Kris Holland and/ or MAFIC Studios, check out www.maficstudios.com. Things look grim at the National Research Council (NRC), especially since current NRC president John McDougall embarked on an indefinite leave of absence "for personal reasons" on April 4th. Later that same week, Federal science minister Kirsty Duncan released a statement indicating that the government had explored plans to "rebrand" the department as "CNRCSolutions." And by Friday, the Ottawa Citizen had published an editorial questioning the NRC's continued scientific usefulness to the Federal government's "innovation agenda." 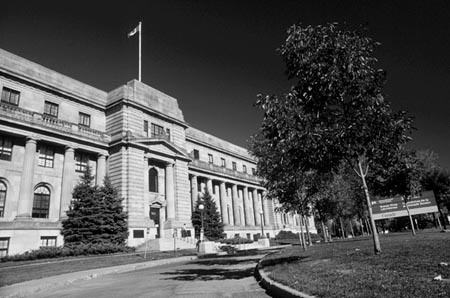 The NRC's original headquarters on Sussex Drive in Ottawa. Established in 1916 under the pressure of World War I to advise the government on matters of science and industrial research, the current NRC acts as "Canada's premier science and technology research organization," at least according to the NRC website. Several Nobel Laureates have been associated with the NRC including Rudolph Marcus, John Polanyi and Gerhard Herzberg. Specialized agencies and crown corporations which began as programs within the NRC include Atomic Energy of Canada (AEC) the Canadian Institutes of Health Research (CIHR), the Canadian Space Agency (CSA), the Communications Security Establishment (CSE), Defence Research and Development Canada (DRDC) and the Natural Sciences and Engineering Research Council of Canada (NSERC). Photo c/o The Office of the Auditor General of Canada. But the real story behind the NRC's current difficulties goes back several years and begins with how Canada, which was always reasonably good at primary research, was being left behind in the race to turn those scientific advances into useful commercial products. As outlined in the May 7th, 2013 National Post article, "National Research Council revamp fuels David Suzuki's claims of a Conservative ‘war on science’," the Federal government of the day under then Prime Minister Stephen Harper concluded, based in part on the 2011 Tom Jenkins led "Review of Federal Support to Research and Development," that "more direct investment, rather than spending 70% of R&D money on tax credits" was required to jump-start Canadian innovation and create Canadian jobs. But the Harper government, after doubling direct R&D investment, bailed on adapting the second Jenkin's recommendation that "the NRC be broken up and all its research activities be absorbed by other agencies and universities." Instead, the conservatives, at least according to the article, "retained the NRC edifice and renovated its interior," by withholding new funding from the NRC and rerouting it into other organizations, but allowing the organization to retain and operate existing programs at a reduced level. It was also noted that the announced changes, were "not likely to be the end of the overhaul of the government’s research and development efforts." And they weren't, although no one expected the next overhaul to originate in the Liberal party. An April 11th, 2016 screen shot from the NRC website. 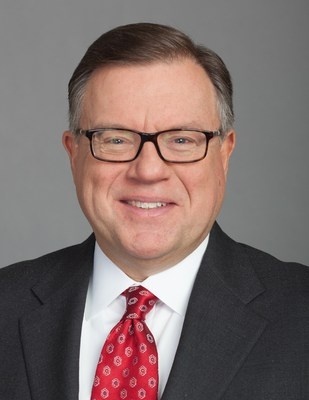 It's worth noting that OpenText Corporation chairman Thomas Jenkins, who chaired the 2011 panel responsible for reviewing federal investments in R&D (the Jenkins Report) currently acts as chair of the NRC Council, which "reviews the strategic directions, oversees the performance of the organization and provides a challenge function with respect to the work of the President and senior management" of the NRC. Screenshot c/o NRC. The current crisis, as outlined in the April 4th, 2016 Globe and Mail article, "National Research Council president takes indefinite leave of absence," began with the federal government confirmation of MacDougal's leave of absence. NDP science critic Kennedy Stewart. Photo c/o Vancouver Sun. 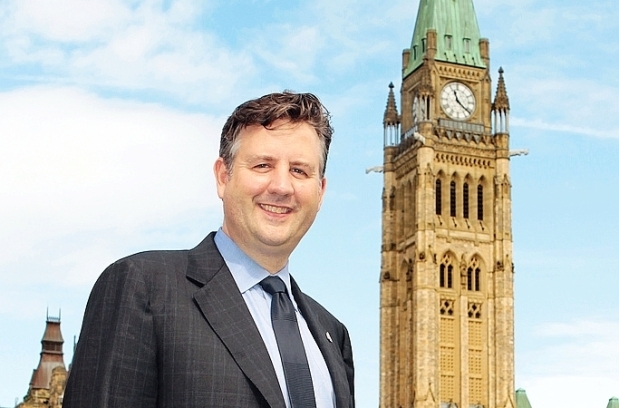 The very next day, as outlined in the April 5th, 2016 Ottawa Citizen article, "Confusion, secrecy reign inside the National Research Council," Kennedy Stewart, the NDP science critic, was quoted as saying that "morale is awful inside the NRC, and the latest postponement 'is just going to add to the confusion.'" “No one had any information,” one veteran researcher said. “Nobody knew what was going on, and this was as recently as two weeks ago. We were supposed to have a major reorganization on April 1, and nobody had any information." Other news continued to trickle out. For example, as outlined in the April 6th, 2016 Ottawa Citizen article, "NRC 'solutions' rebranding quietly dropped without explanation," an until now unknown plan to "re-brand" the NRC as "CNRC solutions," as part of the organizations 100th anniversary celebration, was quietly dropped in February, 2016. 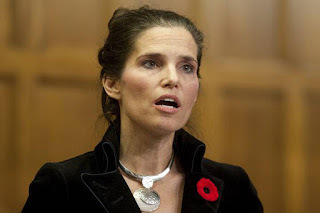 Federal science minister Kirsty Duncan. Photo c/o Daily O. The recent federal budget, at a glance, illustrates the problem. Chirping happily about the “digital economy,” “world-class research,” “continued leadership in space,” the “ingenuity of Canadian industry” and so on, the budget mentions the NRC only as a second-stringer. Instead, Budget 2016 rattles off extra funding for a host of taxpayer-funded, science-y agencies that are NOT the NRC. It also highlights the work of other organizations, such as Genome Canada, the Stem Cell Network, the Brain Canada Foundation, and the Perimeter Institute, for their sophisticated science. Even the Liberals’ beloved research on electric cars won’t flow through the NRC, but through Natural Resources Canada. It would seem no one knows what to do with this agency. As outlined in the 2013 Jenkins recommendations, the current plan is the same as the old one; the NRC will be broken up (although it might keep its name and offices) and its research activities will be absorbed by other agencies and universities. Conservative science critic Marilyn Gladu. Photo c/o Toronto Sun. Of course, with politician's being politicians, it's only natural for the opposition conservatives to have also weighed in on this matter. 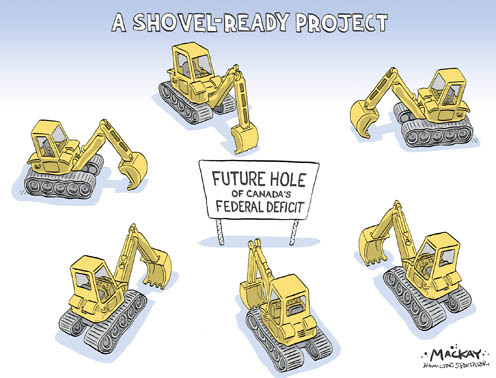 As outlined in the April 7th, 2016 Ottawa Citizen post, "Conservatives take U-turn, step back from 'business-first' NRC," conservative party science critic Marilyn Gladu has indicated that she and science minister Duncan both want "to balance the NRC’s applied industrial work with research in more theoretical areas often called basic, or fundamental, science." Gladu also indicated that she could work comfortably with the Liberal minister in this area. She's more than likely correct. After all, there has been a general consensus on this policy among both liberals and conservatives since 2011, when the Jenkins report was released. The NRC doesn't really fit within the current innovation agenda. Deltion Innovations Receives Gov't Funding to Develop Multi-Tool for Space Mining; Will Anyone Buy It? For a man who had officially "hit the jackpot" by being awarded $700,000 CDN from the Canadian Space Agency (CSA) to build a "multi-purpose tool for shallow depth drilling on the Moon and other celestial bodies," Deltion Innovations CEO Dale Boucher seemed somewhat less than sanguine. "Don't you understand. If we don't tell the CSA to invest in something which isn't simply another variation of the existing satellite technology we've been building for the last fifty years, then we'll be left behind technologically as other nations move out into space," he said during a phone interview last Wednesday. Wednesday in Sudbury. 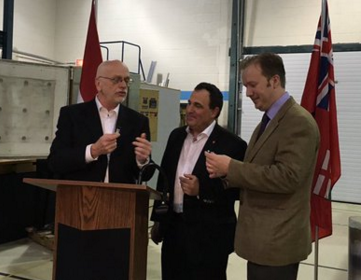 Deltion CEO Boucher with MP's Marc Serré (LIB Nickel Belt) and Paul A. Lefebvre (LIB Sudbury) making the announcement that Deltion had received $70,000 CDN funding from the CSA to build a space "multi-purpose tool." Photo c/o @MarcSerreMP. As outlined in the April 6th, 2016 Bay Today article, "Deltion Innovations lands contract to build multi-purpose tool for building and drilling in space," the newly funded Deltion Innovations' percussive and rotary multi-purpose tool (PROMPT) will be able to drill into the moon or Mars at small depths – around 10 centimeters – to collect samples for analysis. As outlined in the February 5th, 2014 post, "Canadian Government Funds Proposed Lunar Drill," NASA is considering PROMPT for its proposed (but so far unfunded) Resource Prospector Mission. But PROMPT is also an appropriate tool for a variety of other proposed and scheduled space missions expected over the next few years. These include the missions proposed by asteroid mining companies Planetary Resources and Deep Space Industries, along with the missions proposed by several of the competitors involved with the Google Lunar X-Prize such as Astrobotic and Moon Express. Of course, CSA funding doesn't guarantee that any specific tool or technology developed in Canada will sell on the open market. As outlined in the February 23rd, 2014 post, "Canadian Firm Plans to Corner the Worldwide Rover Chassis Market," the most recent attempt was New Hamburg based Ontario Drive and Gear's (ODG) quest to pitch a Canadian rover for the proposed NASA Regolith and Environment Science and Oxygen and Lunar Volatiles Extraction (RESOLVE) mission to hunt for water on the Moon in 2017. That quest is still ongoing. Lessons our space agency should learn. A fascinating, although not often publicly available comment, from the March 21st, 2016 Space Review article, "Review: Moon Shot," which discussed the Google Lunar X-Prize and Moon Shot, the recently released a series of promotional films focused around the competition. Screen shot c/o Space Review. And that's why Boucher is concerned. "Private industry is moving forward and becoming less about geo-science and more about the appropriate use of the correct geo-technology for commercial ventures." He's worried that the traditional focus of the CSA, as simply a component manufacturer for larger programs originating with the space agencies of other nations, is a sadly outdated concept in an era where even medium sized corporations like SpaceX can drive their own space programs towards the creation of reusable launch vehicles and the colonization of Mars. As outlined in the April 10th, 2016 Washington Post article, "What SpaceX’s landing means for commercial space travel," the audience watching SpaceX’s live web broadcast of its launch from Cape Canaveral on Friday "was treated to a show that until just a few years ago was widely discounted as impossible — the vertical landing of the Falcon 9 rocket, which used its engine thrust to slow down and touch softly on a boat in the Atlantic Ocean." Meanwhile, back in Canada, and if all goes according to plan, Deltion could be testing its PROMPT, multi-purpose tool prototype by Christmas. The company is subcontracting with two other Ontario based companies – Neptec Design Group, based in Kanata, ON and Atlas Copco, in North Bay, to work on the PROMPT project. It's probably a pretty good multi-purpose tool as these things go, able to work remotely at extreme distances and under extreme temperatures. It's likely a far better multi-tool than the ones you can buy at Canadian Tire. Here's hoping that Boucher's comments push a couple of his colleagues and a few of the other multi-purpose tools currently working at the CSA to start working on items with a little more vision. Canada's space future depends on it. Do Patents Filed by Retired Canadian Forces Veterans Belong to the Government? There are a lot of retired military personnel in Canada and quite a number of them work in the space sector creating innovative new applications for space derived technology. But a recent legal ruling, which classifies most Canadian Armed Forces (CAF) veterans, reservists and retirees as "public servants" who need permission from the Federal government to apply for a patent, has at least one Canadian advocacy group up in arms. Louis Brown, currently the president of North Bay Ontario based NOR Environmental. 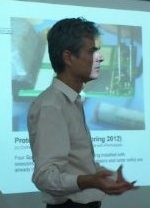 Up until February 2016, Brown and his firm thought that they held a patent for proprietary technology. Photo c/o CBC. The ruling revolves around retired military veteran Louis Brown, who is currently the president of North Bay Ontario based NOR Environmental. As outlined in the March 7th, 2016 CBC News post, "Military vet battles government over intellectual property," Brown, who retired from the CAF in 1993, brought suit against the Federal government over a patent issued in the US and Canada which he claimed had been violated when the Federal government issued a contract to a US based firm for similar technology in 2009. The Canadian government moved to dismiss the case by citing the Public Service Invention Act and arguing that it already owned the patent since Brown was formally a public servant on the supplementary reserve (a listing of inactive or CAF members who are willing and available for active service when requested). In February 2016, a Federal court of Appeals ruling sided with the government. Since no one previously knew about the appropriate steps needed for retired CAF veterans to retain control over intellectual property, the possibility exists that the Federal government now has a legal right to other patents filed by perfectly law abiding retirees. John Reid. Photo c/o CBC. ...employed veterans and reservists working full time in the private sector (and) must now seek permission from the federal government before applying for a patent for their inventions if an inventor is on a supplementary reserve list. That means any patent that has been issued and currently thought to be owned by a Canadian corporation where a named inventor is retired CAF on a supplementary reserve list may in fact be owned by the government. This is totally impractical. I can't imagine that companies would be willing to disclose their confidential and time sensitive invention to the government and wait months for a decision when the United States Patent and Trademark Office (USPTO), in contrast has adopted a first to file system. Many times applications are rushed because an invention is about to be disclosed at an industry conference. Any delay in this process will potentially harm the competitive position of Canadian companies in their respective markets. As outlined in the May 6th, 2015 Edison Nation post, "Patents 101: The Basics of Priority Claims," there are substantial differences between the first to file (FTF) and the first to invent (FTI) systems of registering patent claims. First to file is currently the option of choice in all countries, including the United States, which switched after the enactment of the 2011 Leahy-Smith America Invents Act. Any Canadian requirement for "public servants" to receive permission from the Federal government before applying for a patent would act as a barrier to entry for Canadian's looking to protect their intellectual property in the US. Graphic c/o Edison Nation. As outlined in the March 31st, 2016 CBC News post, "Advocates call for action on veteran's patent case," CATA has launched a campaign for action and a survey for feedback from members. Reid believes the problem should be easy to fix. "I'd be very surprised if we can't get somebody to look at this and fix it. It seems fixable to me," said Reid who added he's already been in touch with the federal minister in charge of innovation, Navdeep Bains. According to Michael Cannata, a partner and co-founder at Patent Monetization Inc. and member of the CATA Innovation Leadership Council, the unintended consequences of this ruling impacts the IP holdings of many Canadian enterprises. In essence, any veteran with an employment contract containing intellectual property clauses could now be compromised. The fear is that tech companies will simply mitigate the patent ownership risk by not hiring well qualified ex CAF or those with military connections for R&D jobs. This would create a far different situation than that which exists in other countries, especially the US, where highly educated and knowledgeable veterans are far more easily integrated into important civilian positions. It will be interesting to see how this gets reconciled.